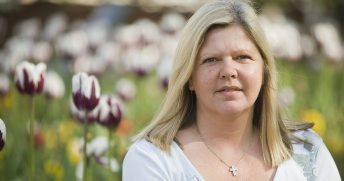 Almost five years to the day that a rally was held in Jersey in support of Child Abuse victims, following revelations of widespread 'historic' abuse, spanning decades, the States Assembly (Jersey's Parliament) voted 43 votes to 0 to set up a Committee of Inquiry into the abuse on Wednesday 6th March. 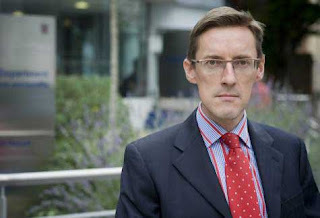 'We cannot afford another Savile moment in 5 or ten years time"
Jersey’s Chief Minister Ian Gorst said: “It is right for us today to approve this CoI but I don’t want members to be shocked by some of the stories that we as a government and members of the community will hear throughout that process, because some will be shocking. Jubilant child abuse campaigners welcomed the decision. “It’s a great day,” said Carrie Modral, chairman of the Jersey Care Leavers Association (JCLA). 1. Establish the type and nature of children’s homes and fostering services in Jersey in the period under review, that is the post-war period, with a particular focus on the period after 1960. Consider (in general terms) why children were placed and maintained in these services. 2. Determine the organisation (including recruitment and supervision of staff), management, governance and culture of children’s homes and any other establishments caring for children, run by the States and in other non-States run establishments providing for children, where abuse has been alleged, in the period under review and consider whether these aspects of these establishments were adequate. 3. Examine the political and other oversight of children’s homes and fostering services and other establishments run by the States with a particular focus on oversight by the various Education Committees between 1960 and 1995, by the various Health and Social Services Committees between 1996 and 2005, and by ministerial government from 2006 to the current day. 4. Examine the political and societal environment during the period under review and its effect on the oversight of children’s homes, fostering services and other establishments run by the States, on the reporting or non-reporting of abuse within or outside such organisations, on the response to those reports of abuse by all agencies and by the public, on the eventual police and any other investigations, and on the eventual outcomes. 5. Establish a chronology of significant changes in childcare practice and policy during the period under review, with reference to Jersey and the UK in order to identify the social and professional norms under which the services in Jersey operated throughout the period under review. 6. Take into account the independent investigations and reports conducted in response to the concerns raised in 2007, and any relevant information that has come to light during the development and progression of the Redress Scheme. 7. Consider the experiences of those witnesses who suffered abuse or believe that they suffered abuse, and hear from staff who worked in these services, together with any other relevant witnesses. 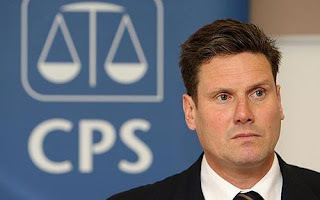 It will be for the Committee to determine, by balancing the interests of justice and the public interest against the presumption of openness, whether, and to what extent, all or any of the evidence given to it should be given in private. The Committee, in accordance with Standing Order 147(2), will have the power to conduct hearings in private if the Chairman and members consider this to be appropriate. 8. Identify how and by what means concerns about abuse were raised and how, and to whom, they were reported. Establish whether systems existed to allow children and others to raise concerns and safeguard their wellbeing, whether these systems were adequate, and any failings they had. 9. Review the actions of the agencies of the government, the justice system and politicians during the period under review, in particular when concerns came to light about child abuse and establish what, if any, lessons are to be learned. 10. Consider how the Education and Health and Social Services Departments dealt with concerns about alleged abuse, what action they took, whether these actions were in line with the policies and procedures of the day, and whether those policies and procedures were adequate. 11. Establish whether, where abuse was suspected, it was reported to the appropriate bodies, including the States of Jersey Police; what action was taken by persons or entities including the police, and whether this was in line with policies and procedures of the day and whether those policies and procedures were adequate. 12. Determine whether the concerns in 2007 were sufficient to justify the States of Jersey Police setting in train ‘Operation Rectangle’. • Whether the process was free from political or other interference at any level. If, for these purposes, or as a result of evidence given under paragraph 7, in the opinion of the Chairman of the Committee, it would be of assistance that one or more of the prosecution files underpinning any prosecution decision may be examined in a manner to be determined by the Committee. 14. Set out what lessons can be learned for the current system of residential and foster care services in Jersey and for third party providers of services for children and young people in the Island. 15. Report on any other issues arising during the Inquiry considered to be relevant to the past safety of children in residential or foster care and other establishments run by the States, and whether these issues affect the safety of children in the future. Well done Deputy Tadier for being the first States Member to take a clear moral stand in respect of the suspension of the Dean, just as you did when, as an ordinary citizen, you organised the 8th March 2008 Time for Change Rally in the Royal Square against child abuse at Haut de la Garenne. That event may have been forgotton by some, but it was a genuine expression of civic revulsion. It was a statement by those present repudiating the acts of the government of their Island, whom they held responsible. 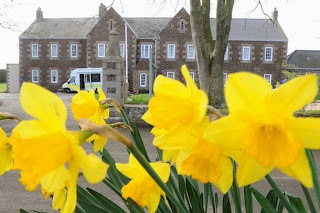 In a sense, the affair of the Dean is a re-run of the Haut de la Garenne events. That is why we should pay it particular attention as it unfolds. The HDLG events were a long time ago and over an extended period. The water has been muddied to such an extent that we still have not got a clear picture of what happened and why. Government and media have sought to protect the reputation of the Jersey state and its political leadership. The affair of the Dean is very recent. In fact is was happening at the very time that the child abuse at HLG was quickly being relegated to some distant past and hence the use of the term “historic child abuse” This turn of phrase, de rigeur, for media and government alike, is designed to imply nothing like that could be happening today. But it was and is continuing. The same process, the Jersey Way, was in operation in the treatment of the woman HG. It is the indifference of those that exercise power in this island. It is evidence, if evidence were needed, that there must be a thorough root and branch purge, otherwise it will be repeated again and again. It is open to the people of Jersey to make that change. Their failure to do so will be treated as an act of omission; an abrogation of responsibility. I have just sent to Montfort a whole list of amendments he has forgotten about, which were also won by the "lobbyists" he mentions. When readers go back and have a look at the bits which will sonn appear in bold when Monty has done the corrections you will see just how bare and inadequate the TOR being put forward by Ministers were. He only put in the LATEST amendments which we had to fight for. He forgot the others - Perhaps one gets worn out by the scale of the battle and forgets the details!